Is Your Jade Plant Thisty? This time of the year it’s very easy to over-water house plants. There is a lot less light in the winter,so most plants including Jade Plants, will not be as actively photosynthesizing and won’t need as much water. Over-watering has symptoms similar to under-watering. When you give a plant too much water, it can cause the roots to become water logged and eventually die back. When the plant loses its roots, it can’t take up enough water, hence, the apparent symptom of not enough water. The well-meaning person taking care of the plant gives it even more water making the problem worse. A Jade Plant is able to store water in its fleshy leaves and stems. When it dries out to the point of needing water, the leaves become soft and flexible. If you think your Jade plant needs water, gently squeeze a leaf or two. If it feel soft, it needs water. If it’s still firm, which in the horticulture trade is called turgid, no water is needed. The plant shown above needs no water, the leaf feels pretty firm. This next plant’s leaves are soft and flexible, that means this plant needs water. This squeeze-the-leaf method works only on Jade Plants and other plants with similar fleshy leaves such as sedums and aloe. Posted on January 21, 2009 February 11, 2011 Author rdluzenCategories Flowers63 Comments on Is Your Jade Plant Thisty? 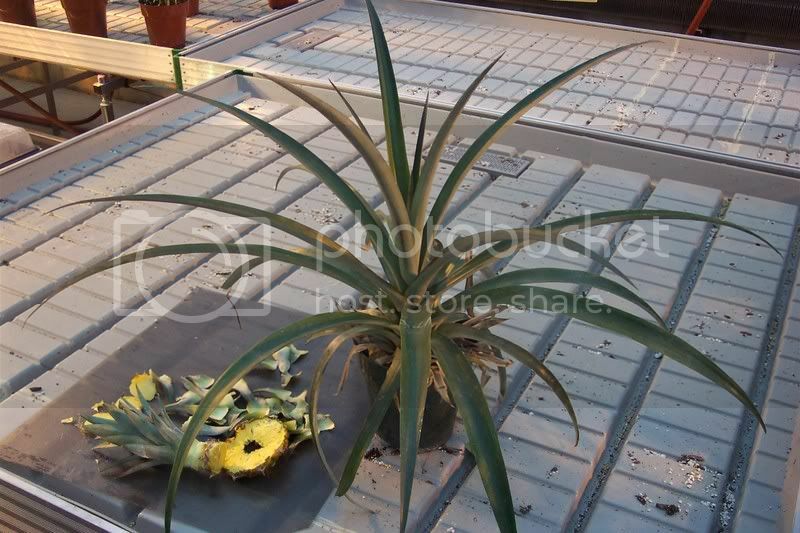 One of the fun gardening projects you can do this time of the year is start your own pineapple plant. 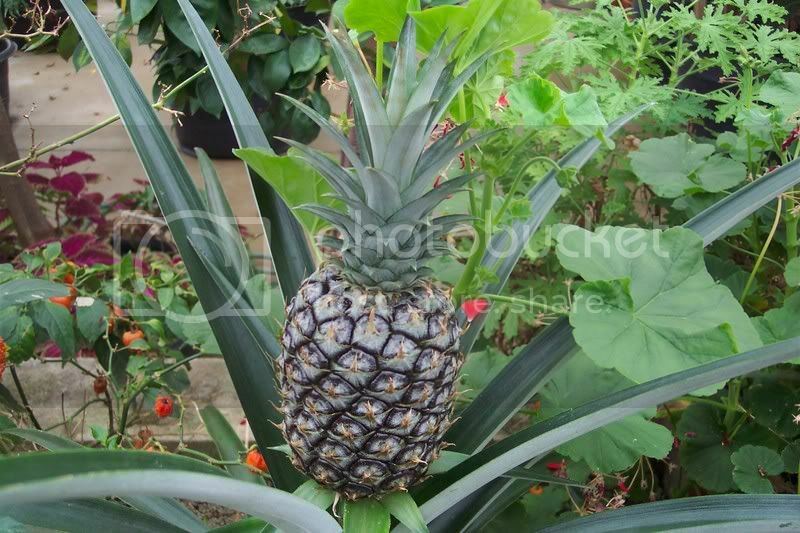 Even though most pineapples we eat are grown in Hawaii, you can actually grow a real pineapple in Michigan…for free! First, you need a fresh pineapple from the produce department. Look for the freshest looking one you can find. Of course you would probably do that anyway if you were shopping for produce. 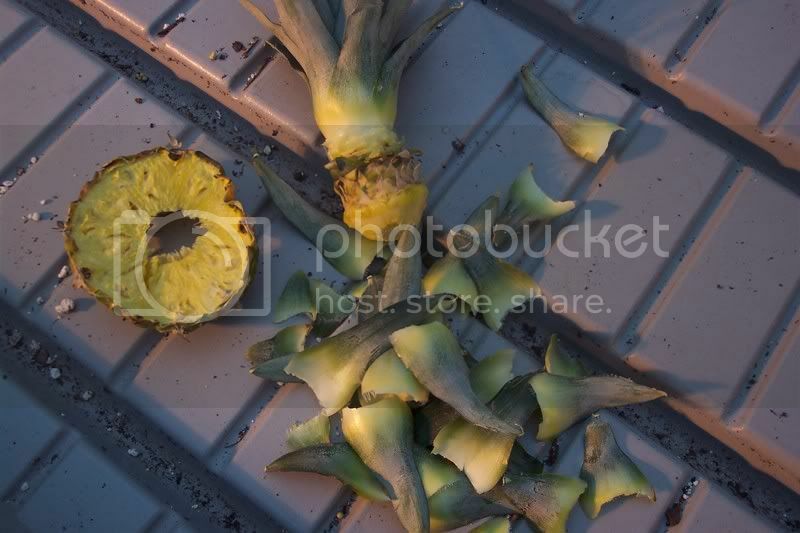 Now, here’s the part that is different: instead of throwing away the top, use it to start your own pineapple plant. Then just place the prepared top into a pot of planting mix deep enough to cover those bumps and water it in. Place your plant where it can get some sun and water it when the soil gets somewhat dry. Fertilize it with a houseplant fertilizer as directed on the package and you should be all set. The plant shown in this photo (on the right) has been growing for several weeks. Look at all those nice new leaves. Here is that same plant several months later. My pineapple has been growing in the same six inch pot for all that time. I would recommend that you move your plant into a larger pot as it grows. 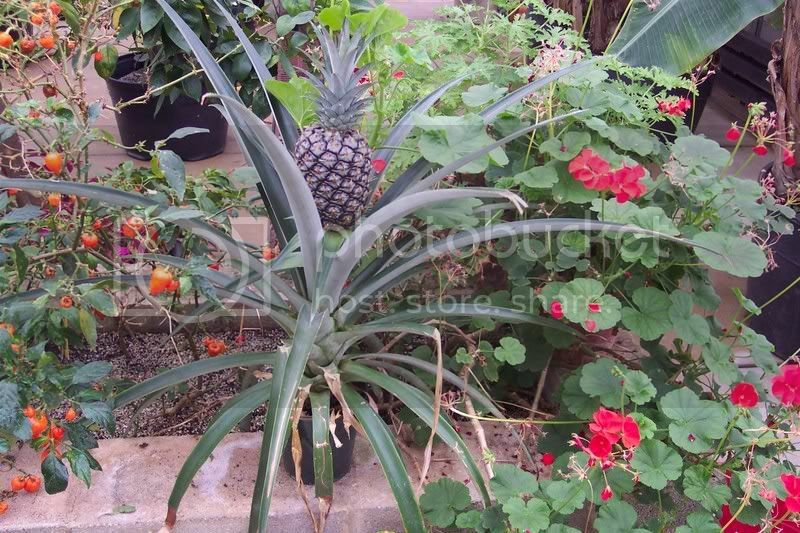 This plant is a little over two feet tall… and has a real pineapple at the top! 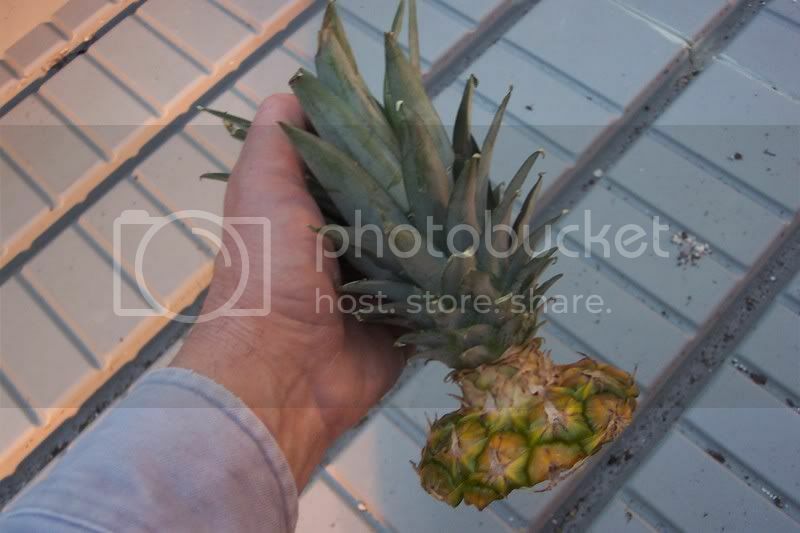 As it starts to turn a little yellow, I will harvest it to eat and then start a new pineapple all over again! 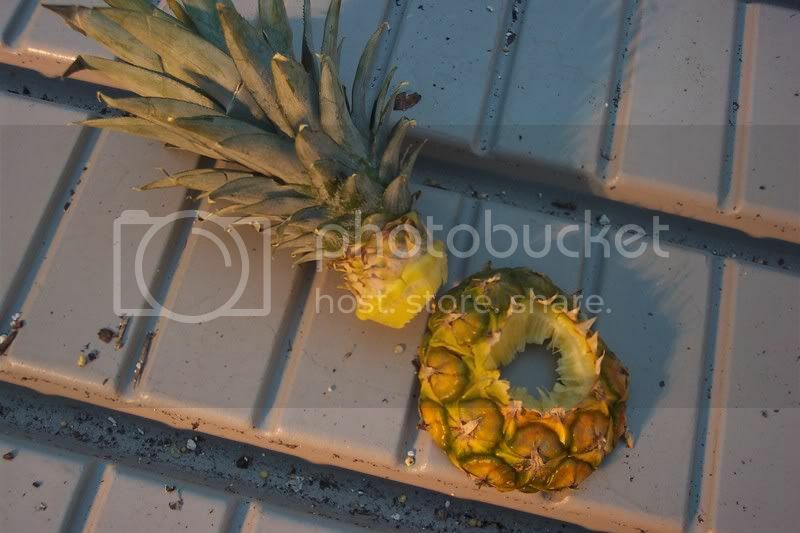 Posted on January 10, 2009 February 11, 2011 Author rdluzenCategories Fruit, In the greenhouse18 Comments on Pineapple, Michigan Grown!